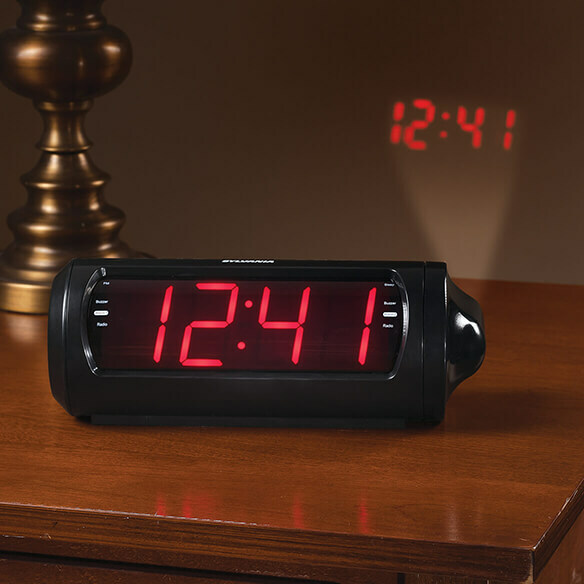 Jumbo Digit Projection Clock/Radio with USB Charging projects the time onto a wall or ceiling—and its 180 degree swivel projection means you won't even have to roll over in bed to view the time! 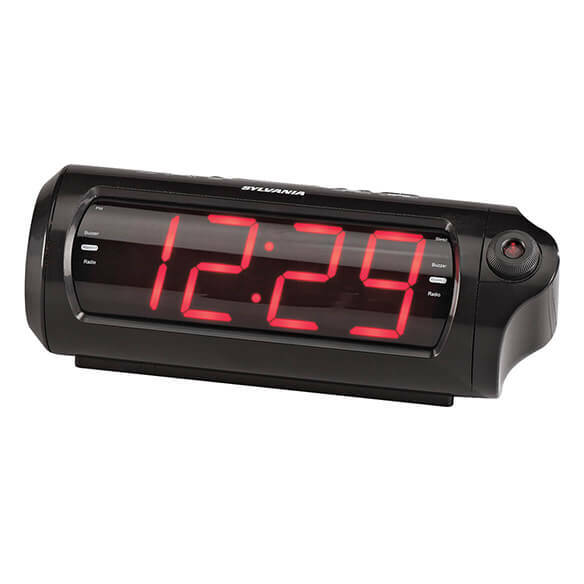 This large display digital alarm clock with red LED is also easy to read, right on the clock ... each digit measures 1.8" tall! It also features FM digital tuning radio with preset stations, built-in speaker and FM antenna. Besides its unique projector display, the bedside clock lets you wake to radio or buzzer and features snooze function, dimmer function and battery backup. Looks like a great alarm clock and radio!! It's not huge, just the right size! My old one no longer projects all the digits.